Head covering is a beautiful symbol because of the divine truths that it communicates. Godly men are often attracted to this as it appears modest, humble, and shows a seriousness for one’s faith. So, it makes sense that if a man who believes in the practice of head covering was seeking a bride that he would desire her to be one who covers. However, I would counsel against making this a standard in finding a wife. 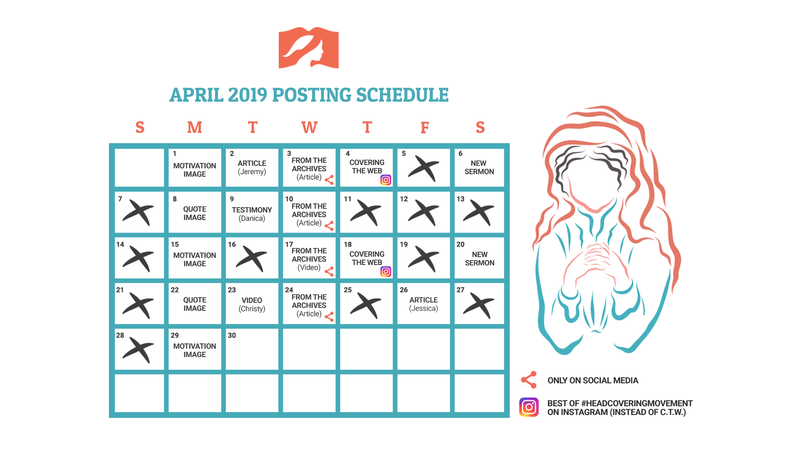 My premise is simple: head covering women are rare and even among them, some do not reflect the lifestyle and character of biblical womanhood. Instead, a wise man will focus on the woman’s heart & her relationship with the Lord (see Prov. 4:23, 31:30; 1 Pet. 3:4). 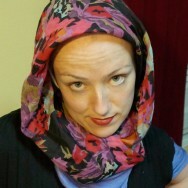 For many women, head covering is a relatively easy thing to do. In fact, that is usually the case for all outward symbols. Putting on a wedding ring is effortless, but it takes significantly more work to have a godly marriage. Being baptized is fairly straightforward, but walking out the Christian life day-by-day is much more involved. Likewise, it can be easy to put on a head covering, but much harder to embody the character and lifestyle of biblical womanhood. Young men, you don’t want a wife who is willing to wear the symbol without it being a reflection of her life. In other words, it is simple for a lady to “fix” her lack of head covering — she literally just needs to put one on. But it is much harder for someone to correct issues of the heart, such as long-standing patterns of selfishness, unsubmissiveness, contentiousness, or a lack of quietness (1 Pet. 3:4). Also, since head covering is an outward practice and also a minority view, it can sometimes appeal to women who are immature in their faith. 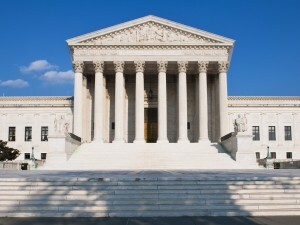 Legalistic people love rules and outward displays of religion (Matt. 23:5), especially religious practices that only a few people hold to. It is important for men to understand this as some of the most unsanctified women are willing to wear a head covering. To be clear, this dynamic is not unique to head covering; it can be at play in any practice that is both outward and unpopular. There is an underlying presupposition here that is guiding my advice. 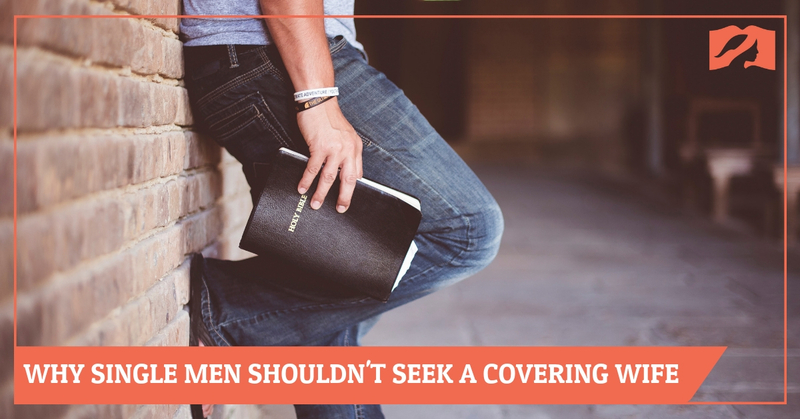 Specifically, I believe that most non-covering women are not acting out a heart of rebellion against Scripture’s instructions in this matter. Often, they simply haven’t yet studied this particular topic in Scripture (1 Corinthians 11:2-16). Or maybe they heard an alternative explanation of this passage which satisfied them, and they haven’t had a reason to consider the contemporary practice of head covering. A husband is a significant influence in his wife’s life and is the spiritual leader of their marriage (Eph. 5:26). If a lady says “Yes” to your marriage proposal, she may well end up embracing many of your beliefs. But even if she remains personally unconvinced about the contemporary practice of head covering (which will be the case for some), a godly wife will respect her husband’s convictions. She will do so because she recognizes the authority that God has placed in her life and that by following you, she is obeying God (Eph. 5:22, 1 Pet. 3:1). Likewise, God’s calling for you will be to provide patient & loving spiritual leadership for her (Eph. 5:23-27, 1 Pet 3:7). 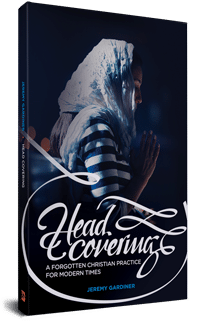 Since women who practice head covering are rare, and since the heart is more important than the symbol, do not unnecessarily limit yourself in the Lord’s leading by rejecting all women who do not cover. A godly “non-covering” wife can become a godly “covering” wife simply by placing a piece of fabric on her head. However, a “covering” wife who does not reflect godly womanhood cannot start doing so in just one simple step. Young men, focus on finding a godly bride who reflects the biblical model of femininity, and then you will both share the joy of pursuing the Lord together. 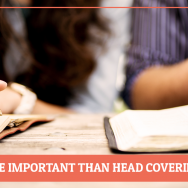 What’s More Important Than Head Covering?